OTTAWA - A federal TV ad campaign last year promoting new job grants was pitched to young males, even though the grants are available to both men and women. The controversial ads, touting the Canada Job Grant program from the 2013 federal budget, were broadcast during the NHL playoffs last May and June. Numerous critics panned the prime-time spots for advertising a federal-provincial program that no province had then signed on to, and therefore did not technically exist. The industry watchdog, Advertising Standards Canada, received complaints and ruled in August the ads were "misleading," and the government promised not to repeat them. An internal report on the spots also reveals that the content of the ads was deliberately pitched to men, rather than women, who were watching the hockey playoffs. The report notes the playoffs were good placement for the spots because viewership was about 60 per cent male. "The creative was ... strongly oriented towards men and skilled trades and therefore perhaps not grabbing the attention of most Canadians," says the document from Employment and Social Development Canada, obtained under the Access to Information Act by The Canadian Press. 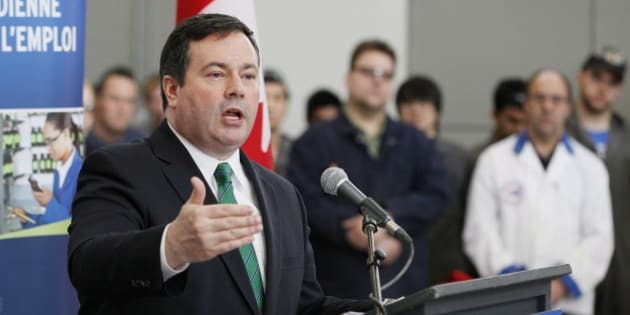 A spokesman for the department, headed by Employment Minister Jason Kenney, declined to respond when asked why the government pitched a skilled-jobs campaign to men when the program was equally open to women. Eric Morrissette also declined to say how much the May 13-June 30, 2013, campaign cost, though the internal documents indicate the bill was about $1 million for the NHL playoffs. "The campaign's primary audience was adults (ages) 18-30, secondary audience was adults 30-45, both skewed to males," says one summary. The NHL ad campaign turned out to be a flop. Polls commissioned by the department in the aftermath show that relatively few people who were surveyed remembered seeing the TV ads. A poll of 2,000 people by NRG Research Group in June and July found only 15 per cent remembered the ads without any prompting. Just 12 per cent of the ads' "target audience" of 18-to-34-year-olds recalled them. Of those who did recall seeing the ads, only four per cent took action as a result, such as going to a website or calling a government toll-free number. For the target audience, the number was higher at seven per cent. The TV ads noted in fine print that the jobs program was still "subject to parliamentary approval," a reference to the fact no enabling legislation had yet been passed. Six people in the NRG Research Group survey said they saw the fine print. The poll, which cost the department almost $43,000, is mandatory for all advertising campaigns costing $1 million or more. The internal department analysis blamed the poor poll results on numerous factors, including competition with other government ad campaigns, fewer Canadian teams in Round 2 of the playoffs, and reduced TV viewership in early summer. NRG Research also polled equal numbers of men and women, and the analysis suggested that because "the NHL media-buy targeted adult males" the survey was not reflective of the intended audience. The ads were also similar to other Economic Action Plan spots, which might have turned off viewers. "The creative was similar to other EAP advertising, and focus group findings pointed to the possibility of brand saturation," says one document. Separate surveys on the Finance Department's own Economic Action Plan ads have shown them getting much less traction since first being aired in 2009. Critics have panned action-plan advertising as thinly disguised propaganda for the Conservative party, but government officials say they have a responsibility to communicate programs and priorities to Canadians. The Canada Job Grant was intended to provide up to 130,000 workers will $15,000 each to upgrade skills or to retrain, with the provinces, Ottawa and businesses each picking up a third of the bill. But many provinces initially balked, and more than a year passed before Kenney signed agreements in principle. Formal deals have since been signed with about half of the provinces and territories "and the remaining are expected shortly," said Morrissette.